The tactic, which was frequently used in the 1960s as part of J Edgar Hoover’s COINTELPRO program, infiltrated groups such as the Black Panther Party and peace activists such as Martin Luther King Jr.
WAKE UP! COINTELPRO is still alive! They did it to Dr. King, The Black Panthers, The Nation Of Islam, and they doing it today with us! Mateen, like many 'lone wolves' before him, was under investigation by the FBI on two separate occasions before he carried out the attack on the Pulse nightclub and killed 49 people. New evidence reveals the federal agency attempted to entrap Mateen with confidential informants (CIs) during the course of its 'pre-crime' investigation, a common technique that critics believe creates terrorists rather than prevents attacks. In Mateen’s case, one informant was placed at St Lucie County Courthouse where he worked for the security firm G4S, after complaints were made about comments he had made there. The CIs failed to “lure Omar into some kind of act,” Sheriff Ken Mascara said last Wednesday. “Our investigation involved introducing confidential sources to him, recording conversations with him, following him, reviewing transactional records from his communications, and searching all government holdings for any possible connections, any possible derogatory information,” FBI Director James Comey said during a press briefing last week. Beyond concerns about the civil liberties of those targeted, these elaborate and expensive sting operations have been slammed for their ineffectiveness in preventing terrorism and the amount of time and money invested, while those planning a terror attack without the help of the FBI fly under the radar. Human Rights Watch, which has been tracking this issue for years along with several other organizations, are also concerned that the tactics can radicalize disaffected young men, bringing them to the next level by inspiring them to carry out an attack rather than simply talk about it. Here are just some of the people the US government has ‘lured’ over the years. The FBI was “obsessed” with civil rights leader Martin Luther King Jr and conducted systematic plots and surveillance to discredit and harass him, including false allegations he was influenced by communists and a threatening letter sent by agents in 1964 calling him “an evil, abnormal beast,” just one year after he delivered his famous “I Have A Dream” speech. Ernest Withers, a trusted civil rights photographer at King’s side for much of the movement, also turned out to be an informant for the FBI, based on an FOIA request filed by a Memphis newspaper after he died. Some 31 years after he was assassinated allegedly by white supremacist James Earl Ray, the FBI was implicated in his murder when it was ruled a conspiracy during a 1999 civil trial. “The jury was clearly convinced by the extensive evidence that was presented during the trial that, in addition to Mr Jowers, the conspiracy of the Mafia, local, state and federal government agencies, were deeply involved in the assassination of my husband. The jury also affirmed overwhelming evidence that identified someone else, not James Earl Ray, as the shooter, and that Mr Ray was set up to take the blame,” she said. We’ll have to wait another 11 years to find out the whole truth since FBI files relating to the investigation of King’s murder remain sealed until 2027. The Black Panther Party were targets of FBI surveillance and efforts to dismantle the group. 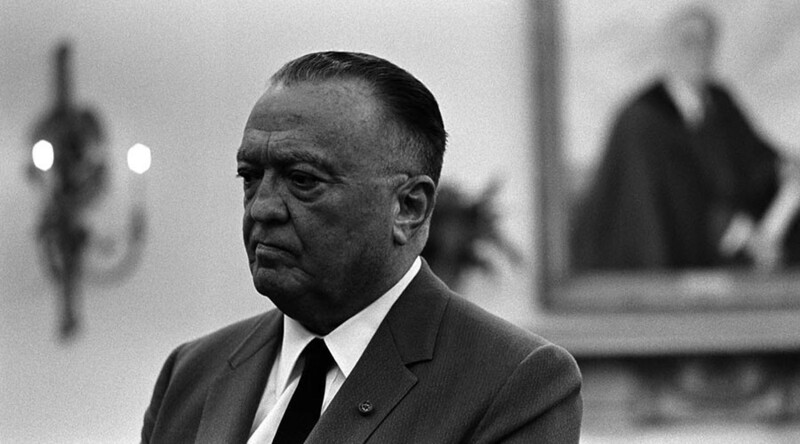 The COINTELPRO program set out to “expose, disrupt, misdirect, discredit or otherwise neutralize” the Panthers, which Hoover once described as the “the greatest threat to the internal security of the country” and the number one threat to the US. Afeni Shakur, Black Panther member and mother of murdered rapper Tupac Shakur, was part of Panther 21 who were charged with conspiracy to destroy buildings and murder police officers. The group were acquitted. Richard Aoki, the only Asian American who held a formal leadership position in the Black Panther Party, was exposed as an FBI informant from 1961-1977, thanks to a Freedom of Information Act (FOIA) request filed after his suicide in 2009. Although Aoki denied being a ‘rat’ during his life, and it is not known if guilt from his betrayal was the reason he shot himself in the head, he was the first person to provide the self-defense group with guns, which they used to stop rampant police brutality. In the final days of the 1960s, a ‘Messiah’-like figure by the name of Fred Hampton was allegedly drugged by FBI informant William O’Neal before he was assassinated, along with Black Panther guard Mark Clark, by Chicago police officers working with the FBI, in what Noam Chomsky called "the gravest domestic crime of the Nixon administration." James Cromitie was approached by FBI informant Shahed Hussain at a mosque in New York in 2007. Hussain engendered in Cromitie a negative attitude towards Jews, blaming them for evil. Hussain encouraged Cromitie to recruit other men to help with plans, who would be known as the Newburgh 4. He used information about each to entice them. In one case, he said he would pay for one of the men’s brother’s liver transplant. Cromitie showed little interest in carrying out an attack, even avoiding Hussain by pretending he was moving to North Carolina. He was later offered the promise of a new BMW and $250,000, as well as a barbershop business if he carried out an attack. The men said they did not intend to carry out the attacks, but that they wanted to scam Hussain out of his money. The group were arrested after they planted a bomb along with the informant. When the Occupy movement rose to prominence in 2011, it was quickly infiltrated with FBI informants - and some believe the CIA as well. One conservative computer expert hacked its mailing lists and passed the information on to the authorities, although he claimed he wasn’t an FBI informant. A CI who did infiltrate the group managed to coerce Connor Stevens into attempting to blow up a bridge in Ohio. Ex-convict Shaquille Azir targeted Stevens and his friends when the Occupy camp was broken up. He gave them construction jobs as well as the idea, along with the explosives needed to carry out the plan. The group were arrested as soon as they attempted to detonate the bomb. Rezwan Ferdaus was arrested for planning to attack the US Capitol and Pentagon in 2011, as part of an FBI sting. Ferdaus was targeted by a paid FBI informant who reportedly had a heroin addiction. After infiltrating his mosque, the CI told the FBI that Ferdaus had said he wanted to attack the Capitol building. Two FBI agents were then sent to act as Al-Qaeda operatives, developing a relationship with Ferdaus. The FBI gave Ferdaus $4,000 to purchase a remote controlled airplane and explosives. He was arrested and sentenced to 17 years in prison. His family maintain that he had mental issues, including depression and bladder control problems, which only began after the agents targeted him, Politico reports. This was even stated by the FBI in 2010, when an agent told Ferdaus’ father “obviously (Rezwan) has mental problems.” Ferdaus’ defense claim he repeatedly tried to pull out of the plan. Ahmed Ferhani, who was bipolar with a low IQ, was arrested for planning an attack on a synagogue in Manhattan in 2011 along with his friend Mohamed Mamdouh. The NYPD ran the sting in this case and had been aware of Ferhani for years because his mother had to call the police when he had manic episodes as a teenager. This is one of several instances where local police departments colluded with federal investigators. In Ferhani’s case, federal authorities declined to pursue the case. His lawyers argued that Ferhani was entrapped to justify the NYPD’s surveillance of Muslims. Ferhani was introduced in 2010 to Ilter Ayturk, who was an undercover cop. It was Ayturk who gave the two the idea to carry out an attack and encouraged Ferhani to make anti-Semitic remarks. He told Ferhani about Palestine and blamed Jewish people, encouraging Ferhani to do the same. Ferhani met another agent pretending to be a weapons dealer, giving him $100 for ammunition, a grenade, and three semi-automatic pistols. Ferhani was sentenced to 10 years in prison, where he attempted suicide after being abused by guards. The abuse was so bad that he had to have 12 staples in his head following one incident and was left in a coma after his suicide attempt, AP reports. Brian Church, Brent Betterly and Jared Chase were accused of domestic terrorism after allegedly planning to attack a 2012 NATO summit in Chicago. Chicago police raided an apartment where 11 political activists were detained. Two of those activists turned out to be undercover cops, a dark, bearded man named “Mo” and a woman named “Nadia” who claimed to be Syrian. Police allege they found bottles of “clear liquid” and cloths which were allegedly soaked in gas, along with a vest and gas mask. Three of the activists received between five and eight years for attempting to commit arson, after the defense used the undercover police’s own recordings to show that the three were all talk, no action and were goaded on by the officers. On one occasion, Church turned down the undercover cop’s offer to try out the Molotov cocktail they had built. Mayor Rahm Emanuel had used the NATO Summit to push through “draconian new powers” including surveillance cameras, strict parade restrictions, and police discretion, a permanent move slammed by the ACLU, Amnesty International, and the Occupy Movement. “It's almost as if Rahm Emanuel was lifting a page from Naomi Klein's Shock Doctrine – as if he was reading her account of Milton Friedman's 'Chicago Boys' as a cookbook recipe, rather than as the ominous episode that it was,” wrote Bernard Harcourt in the Guardian. The eldest Tsarnaev brother, Tamerlan, was being watched by the FBI two years before the Boston marathon bombing in 2013. After Russia’s government alerted US authorities to their concerns about Tsarnaev’s links to Chechen separatists in March 2011, the FBI ruled he was not a threat. Six months later, the Kremlin told the CIA about Tamerlan, which placed him on a watch list. When the alert was passed onto the FBI’s Foreign Terror Tracking Task Force, it failed to follow up based on the bureau’s previous assessment. The FBI wanted Tsarnaev to turn informant on the Muslim and Chechen communities in Boston, according to defense lawyers for the younger brother Dzhokhar. The FBI met with Tamerlan and his parents on more than one occasion, which the defense claimed could have “increased his paranoia and distress,” the Boston Globe reports. The FBI announced it had prevented another terror attack on the Capitol last year. Christopher Lee Cornell, an unemployed 20 year old who had been bullied in school, came to the FBI’s attention after he tweeted about Islamic State. He was then contacted by an FBI informant online “who began cooperating with the FBI in order to obtain favorable treatment with respect to his criminal exposure on an unrelated case," according to the affidavit. The two had been talking for months about carrying out an attack when Cornell was arrested after he purchased a firearm and converted to Islam. His legal team said he suffered from depression and schizotypal disorder. John T Booker caught the attention of the FBI after posting support for attacks on US soldiers online. Two informants befriended him, giving him information about bombs and helping him come up with a plan to attack a Fort Riley military base in Kansas. Booker checked into a mental health facility in 2014, which the FBI knew about, but they still arrested him last year and he pleaded guilty in February. The baby-faced 21 year old is awaiting sentencing and could spend 30 years in prison. James Medina, a Florida homeless man with mental health issues, was arrested in April 2016 for planning to commit an act of terror at a synagogue with a weapon of mass destruction. Medina was encouraged and directed by an FBI source to blame the attack on Islamic State (IS, formerly ISIS/ISIL) and use a bomb instead of a gun. Medina was given a fake bomb by the source and was then arrested.